The electric car revolution is upon us. The mainstream, after years of watching Tesla crank out its Roadster, Model S, Model X and most recent Model 3 (well, just about), is catching up. Jaguar’s I-Pace, for example, has garnered much praise. 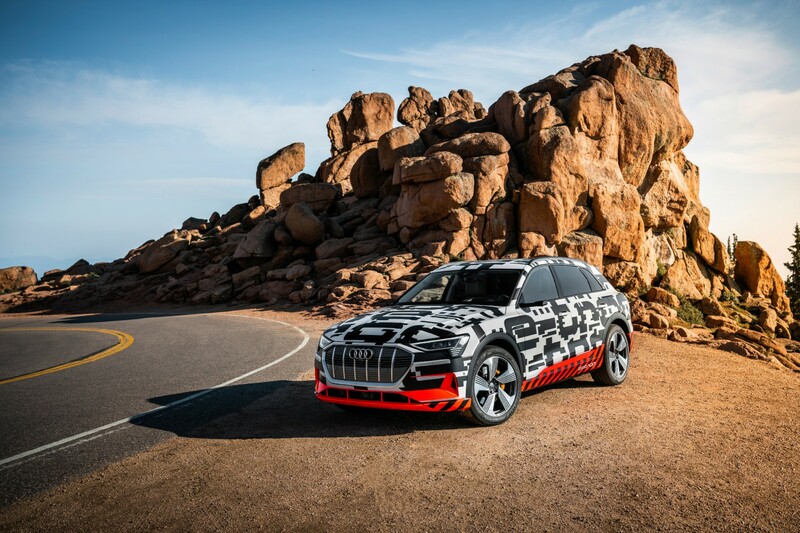 Now Audi is readying its first salvo in the war for EV supremacy: the E-tron SUV. 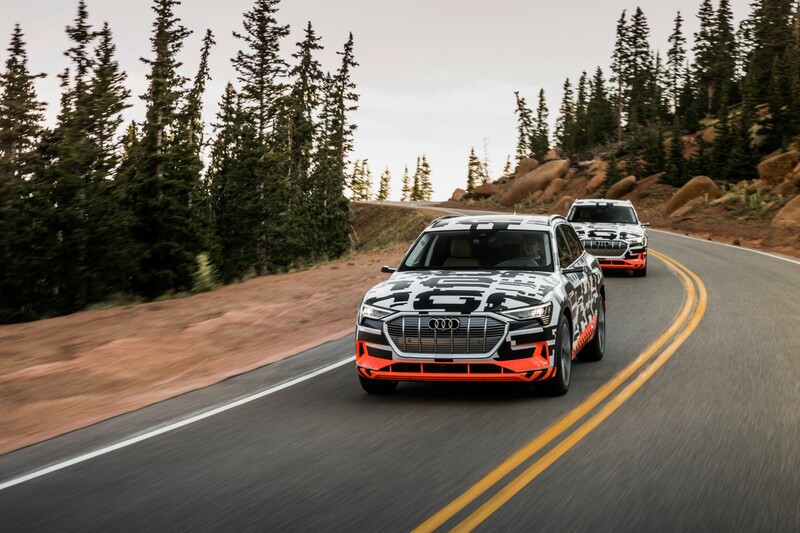 Audi’s E-tron name has been around for a while – mostly as an add-on to another car in the range. The Q7 E-tron plug-in hybrid is a Q7 with eco-cred. However, E-tron was never supposed to be merely a powertrain option, but a car in its own right. 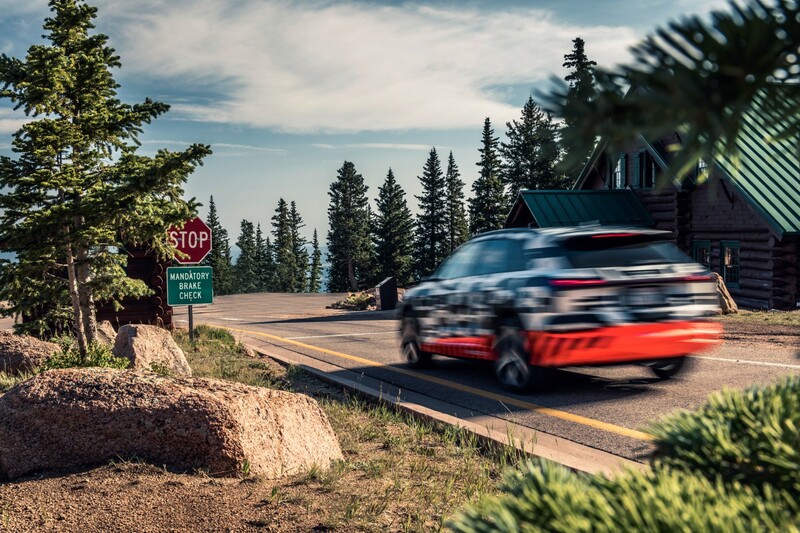 The first standalone E-tron, an SUV, is nearly upon us, so I joined a heavily camo’d example on Pikes Peak, Colorado, to see what steps Ingolstadt has taken to ensure its EV SUV will feel like a genuine Audi – and be a competent everyday car. 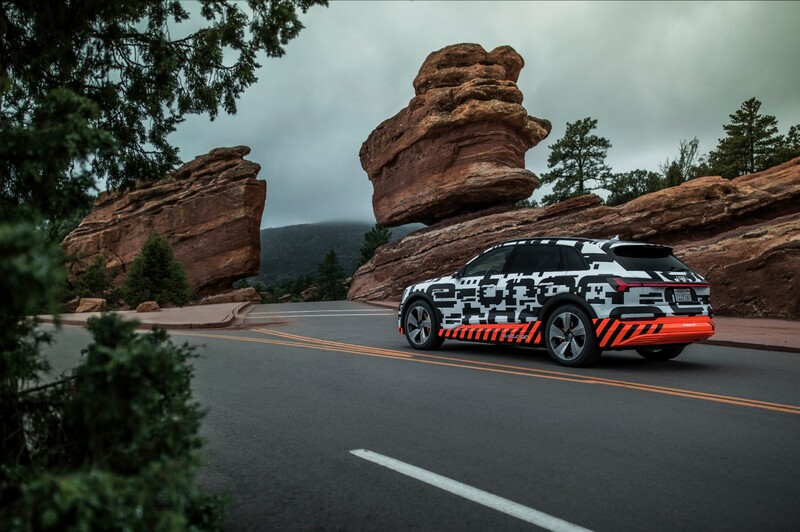 Pikes Peak is also a perfect place for Audi to show off how the E-tron will deal with energy regeneration. We won’t be taking the car up the peak, but rather riding down it to see how much energy it regains and how it does so. At 05:00 on top of a dark mountain, the E-tron stood out against an inky blue sky. Wearing bright camouflage – black and white with bright orange highlights – it was hard to miss. 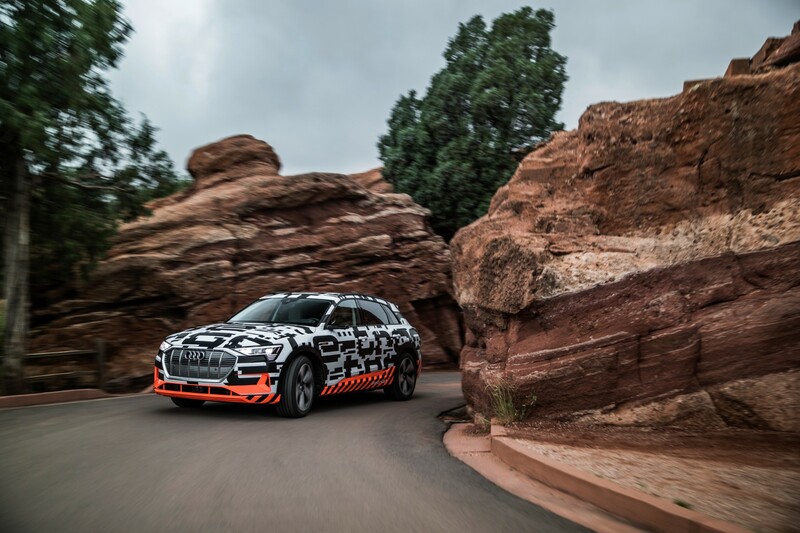 All the traditional Audi design cues were present and correct: big grille, jazzy rear light arrangement, pointy headlamps, and the four rings riding proud front and back. It has a completely new body, although at a glance you could be forgiven for thinking it looked a little like a Q5. They’re both mid-size SUVs, after all, and there’s not much you can do with SUV styling. Look a little closer, though, and you’ll see some standout details. E-tron badging is an obvious one, sitting proud on the car’s flanks. But the biggest difference is the wing mirrors, or more precisely the lack thereof. Rather than having big glass ears attached to each side, there are wings with cameras that feed a live image to two screens in the cockpit. It’s also larger than the Q5 – sitting between it and the Q7 on the size scale. 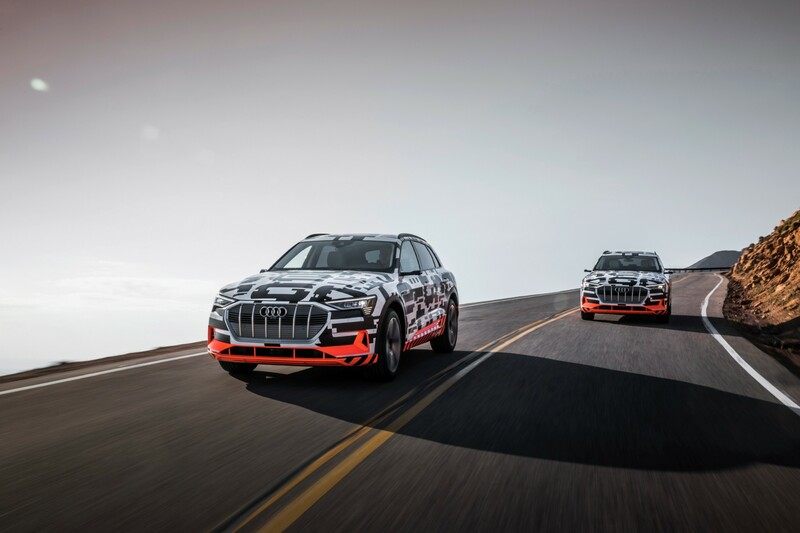 The massive Audi grille, while present, is silver on the E-tron prototype. It looks pretty cool. As it was covered in camo, it’s hard to tell whether the EV-friendly tweaks work well with Audi’s design language or not. However, from what I was able to see, it’s not likely to be a munter. In keeping with the exterior’s ‘keep it car-shaped’ thinking, the interior is much as you’d expect from Audi. Although I was in a prototype, it was all bolted together properly – it’ll outlast your grandkids. The dash design is clean, with a few lines that wouldn’t go amiss on a Federation Starship here and there. Much like Audi’s A6 and A7, there are screens where once there were buttons. That means that some key functions may be a couple of screens apart from one another (an irritant), but it keeps the cabin looking tidy. 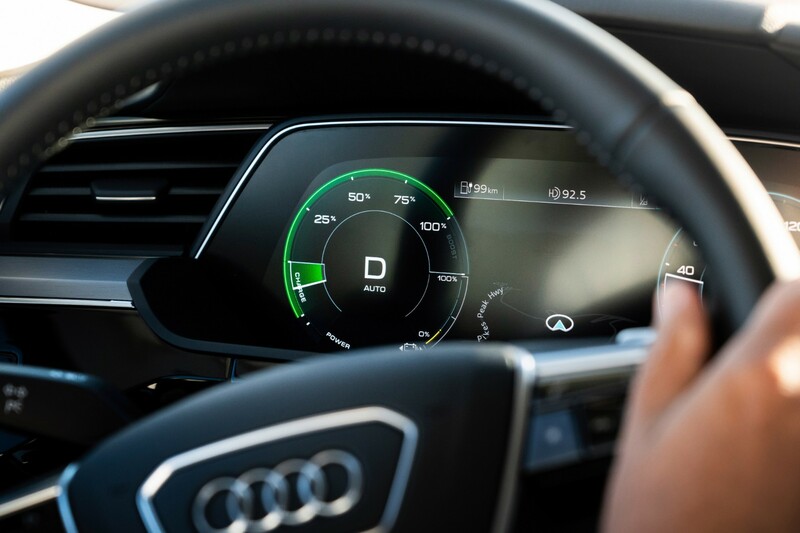 The E-tron uses the now-familar Virtual Cockpit display. 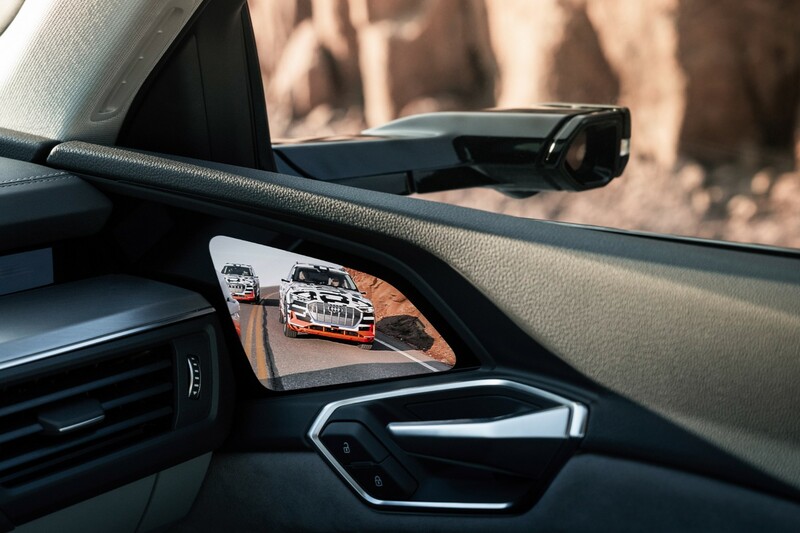 There are a few changes over the usual Audi style, though: an energy meter and a charge meter, for instance, to see whether the car is using or gaining energy in real-time. The centre console, usually home to a shallow pot to pop in your phone/daily guff, is really deep. Unremarkable, you may think, but it actually shows how much space a traditional transmission tunnel takes up. You’ll also spot a set of paddles behind the steering wheel. 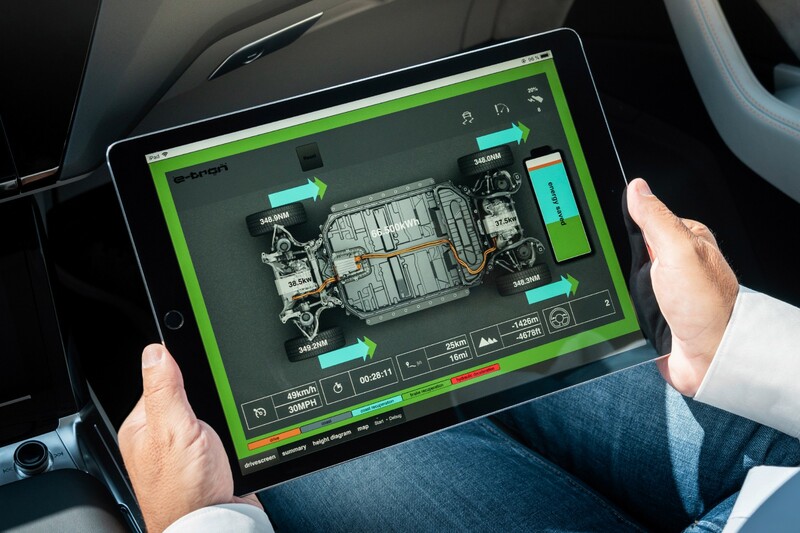 They’re not there to shuffle around an imaginary gearbox, but to adjust the severity of the E-tron’s energy-regen tech. The same tech I was there to experience. The E-tron is still a prototype, so I was in the passenger seat for this one. The car pointed downwards, and we set off to raise the initial range of 165km (103 miles) as high as possible. To do this we’d be using the car’s different methods of energy recuperation. There are three modes to do this while you’re coasting. The first does nothing and lets the car roll on as a regular automatic would. The second uses engine braking of sorts to add a little resistance to your roll, turning that otherwise wasted kinetic energy into useful energy. And the third puts even more resistance in place, meaning you can drive the car using only the throttle, lifting off the gas to bring the car to a stop on more level surfaces. On the peak, though, we just kept rolling and piling on the power. 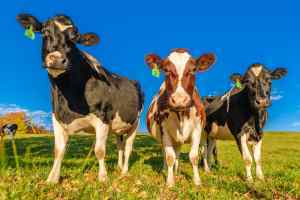 The car also generates power when you use the brake pedal – as is the case in many modern cars. Within a few minutes of rolling silently down hill we’d added a couple of kilometres to the range. With the car set to coast, we neither used or gained any power, but flicking the paddle shifter changed all that. In the weaker recoup mode you could feel the car resist as it turned movement into potential miles. This got stronger, as though driving through sand, when the second recoup mode was selected. Thanks to the nature of Pike’s Peak, we kept moving ever downwards. You can choose your own regeneration level, or you can set the car to do it for you. It’ll use GPS data, long-range radar and car-to-X comms to read the road ahead and decide how severe the regen is. Smart stuff if you don’t want to row your own paddles. While all this was going on, I noticed the distinct lack of noise. OK, the roads up there are super smooth, but there was little rumble from the tyres, no whistle from the wing cameras. It was whisper-quiet. The kind of quiet that car companies advertise but rarely manage. The prototype’s weight (between two and three tonnes was estimated by an Audi rep) made itself known in the corners. 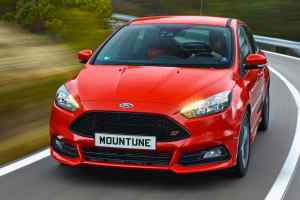 It rides on air suspension to try and hide its bulk, and while it does an excellent job it doesn’t eliminate body-roll in its entirety. Here’s the cool thing about its energy regen. 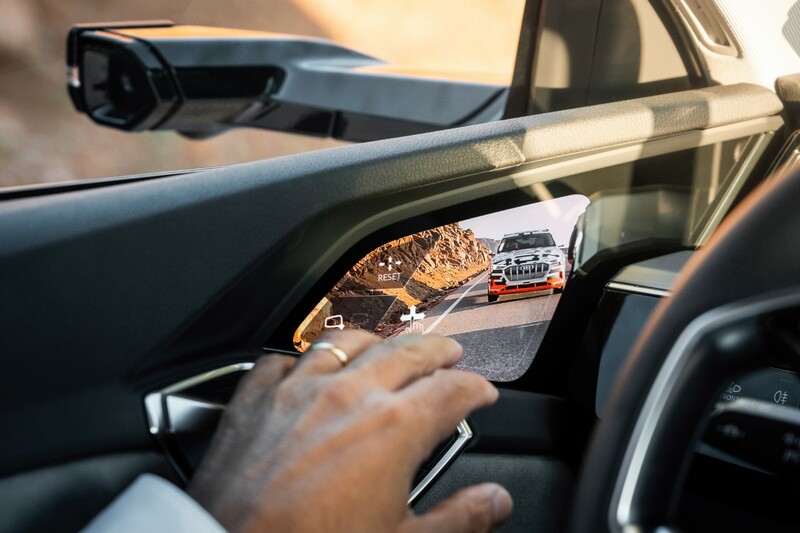 You don’t feel like you’re losing any ‘car’ in the process of reclaiming it, and because it’s slowing the car using trick electronics and not the brakes, you don’t really need to use them all that much – a bonus for the consumer, a potential disaster for brake pad aftersales. Ok, you need to adjust your driving style a touch to get the most juice per mile (if you have hills/distances to brake and recharge from, it doesn’t just create energy as if by magic), but if you don’t want to you don’t actually have to. That may sound like a ridiculous statement, but there are some out there who think electric cars require witchcraft to pilot. They don’t, it’s just a bit different. Quieter, mostly, and they take a bit longer to refuel. 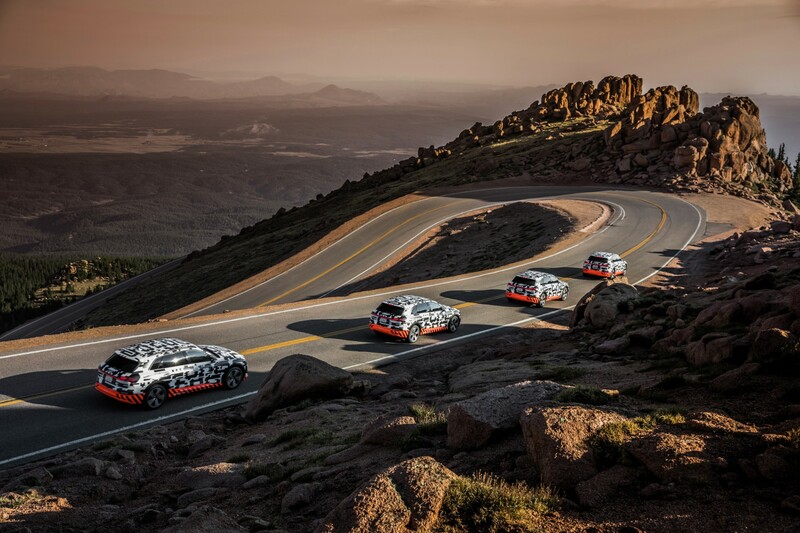 The Pikes Peak descent is long, twisty, and can destroy a car’s brakes if you’re not careful. By the half-way point our car’s stoppers were cool enough to touch because they’d been doing naff all. By the time we’d reached the bottom of the run we’d upped the range to from 165km to 282km (103 to 175 miles). A solid gain of 117km (72 miles). From where I was sitting, the steering seemed smooth and easy to use. 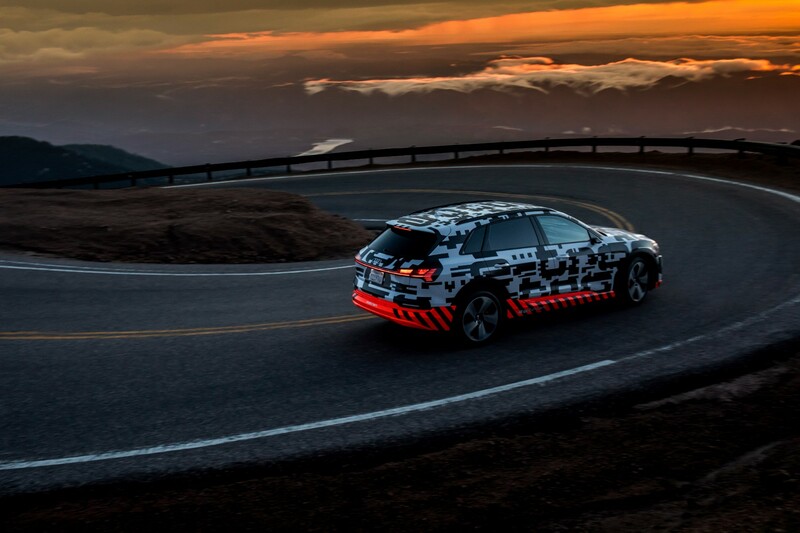 The E-tron uses a ‘progressive steering’ set up – adjusting it to suit the speed of driving. I’ve always found it a bit hit and miss in other cars. Maybe it’ll work better here. Tesla’s dominance, we suspect, is coming to an end.